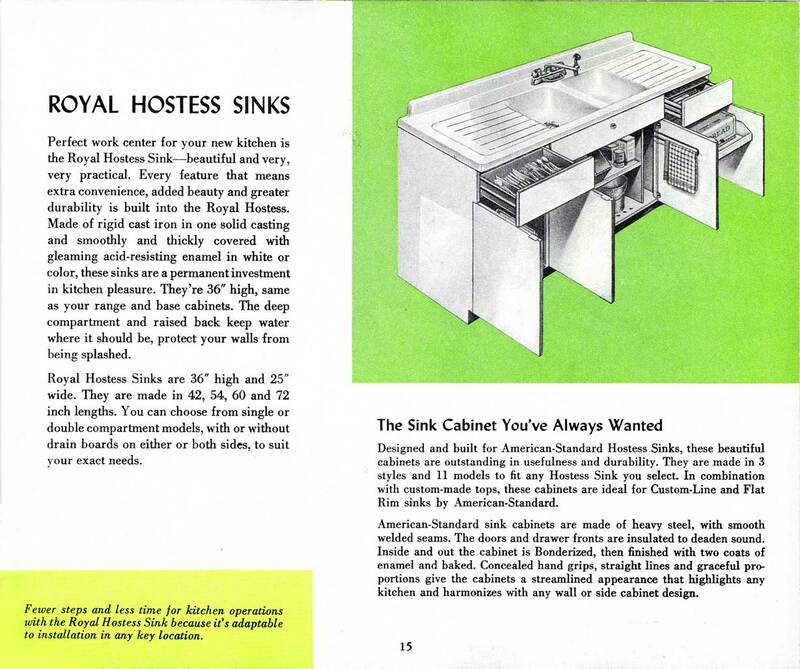 It might seem hard to get excited about plumbing fixtures, but this 44-page catalog (with an appropriately unexciting title “Planning your Home for Health and Comfort“) came with plenty of pictures of rooms to inspire the post-World-War-2 family. Take this awesome streamlined kitchen for instance. 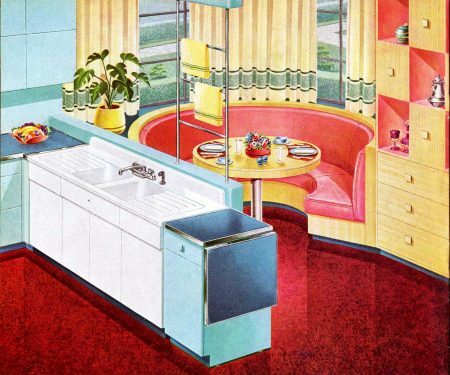 There's such a fabulous diner vibe to that round breakfast table that it's almost hard to focus on the sink. With 1949 sliding into 1950, the whole room exudes a modernity and casualness that would have been unthinkable a decade or two earlier. The house's formal dining room — there must have been one — is literally and figuratively out of the picture. Instead, you can imagine this nuclear family sliding around the kitchen table for most of their meals. Only a TV set is missing. And the practicality and effectiveness of this arrangement would do Ikea proud: from the cube storage nooks, to the drop-leaf countertop, to the chrome towel rack, to the efficiency of the sink cabinet which the copy proudly calls attention to. 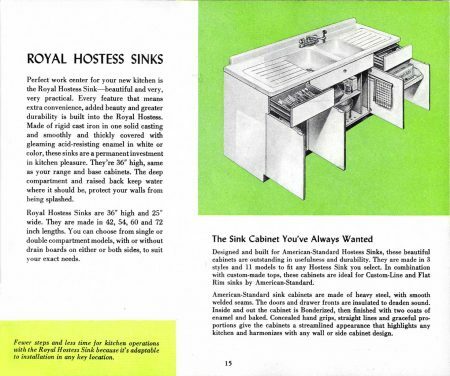 And apparently it all starts with the “Royal Hostess” Sink. Next Next post: Where are the double-decker buses of yesteryear?